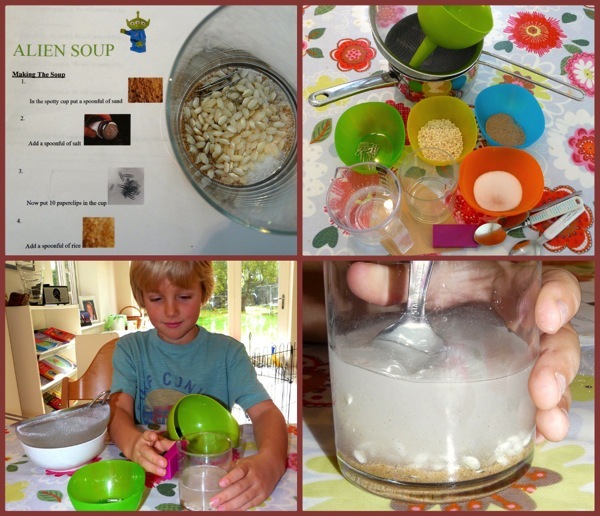 “Alien soup” is a fun way of learning how to separate mixtures using scientific processes. 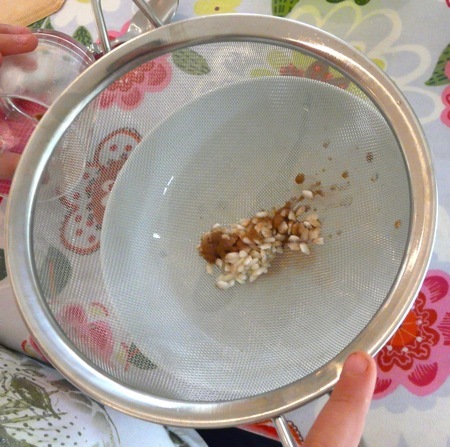 C(9) and J(8) mixed up a spoonful each of rice, sand, salt, 10 paperclips and 100ml of water. It was fun watching as they gradually figured out how to separate each ingredient. 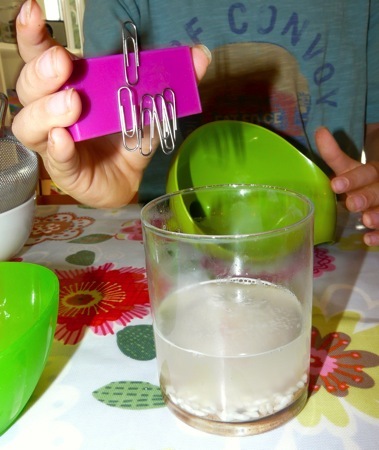 J(8) remembered how we’d removed paperclips from water when we had our magnet morning. 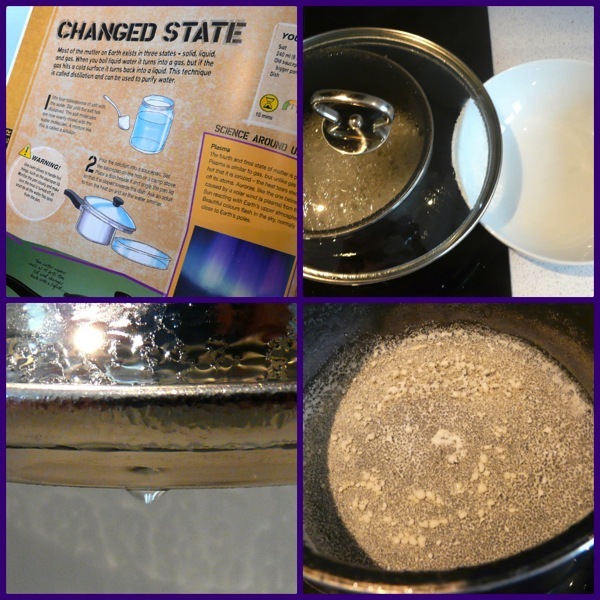 They heated the salt solution in a saucepan, capturing the evaporated water on the oversized lid. The condensed water was then collected as it dripped off the lid. I hadn’t been sure how C(9) and J(8) would get on with this activity. I knew they’d enjoy it, but I thought I might have to help them more than I did. Seeing how they confidently and intelligently tackled the puzzle reassured me that our science un-curriculum is still working well. I hope so, Hwee! It genuinely was very rewarding seeing them making connections with what we’d done before. Oh this is another great activity. Thanks so much. We will do it as part of our Earth science this year. It looks like a mining operation. Thank you, Julie. Yes I’d not thought of it like that but you’re right about the mining operation! 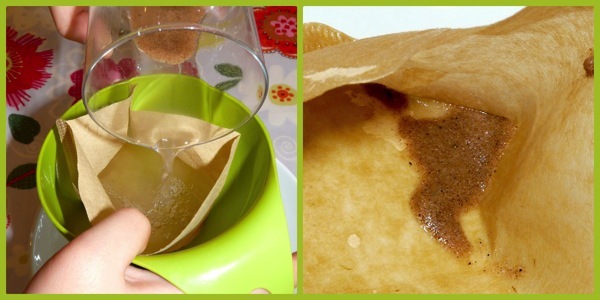 Great activity and one I shall be introducing to the children. 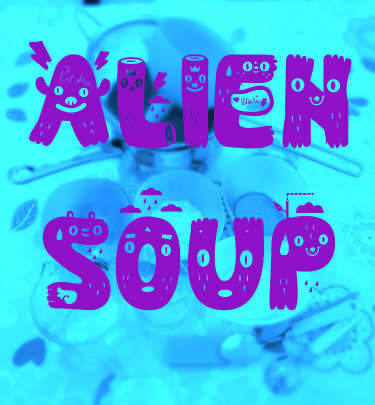 Alien soup? They’ll not be able to resist! I know. Also referred to as wizard stew … gotta love those TES contributors! Oh, this is so much fun. I love how much fun your school is. I want to be a student in your homeschool! Ah thank you, Phyllis! It’s fun being the mum in our homeschool too!